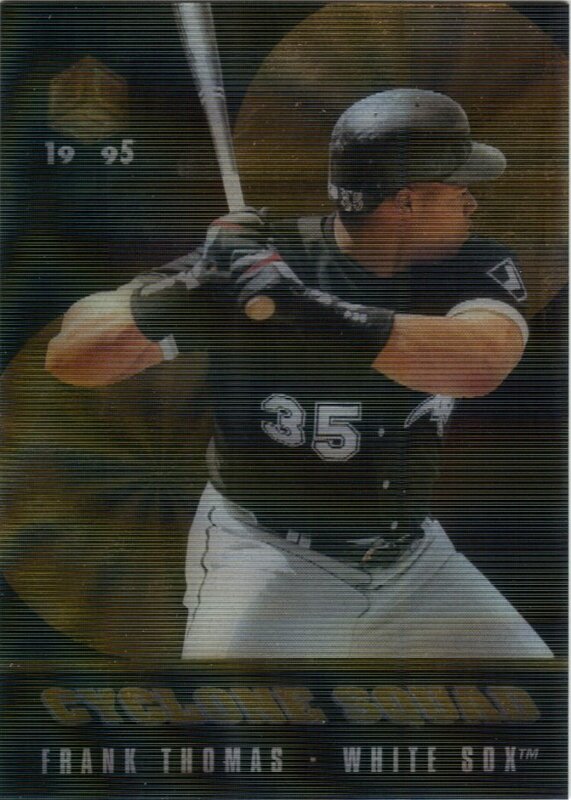 This week Topps announced they’re doing an online only 3D version of the 2018 Topps set using lenticular technology. The packout and price are bit too much for my liking (8 cards for $20 for a 100 card set with inserts), but it’s neat nonetheless. 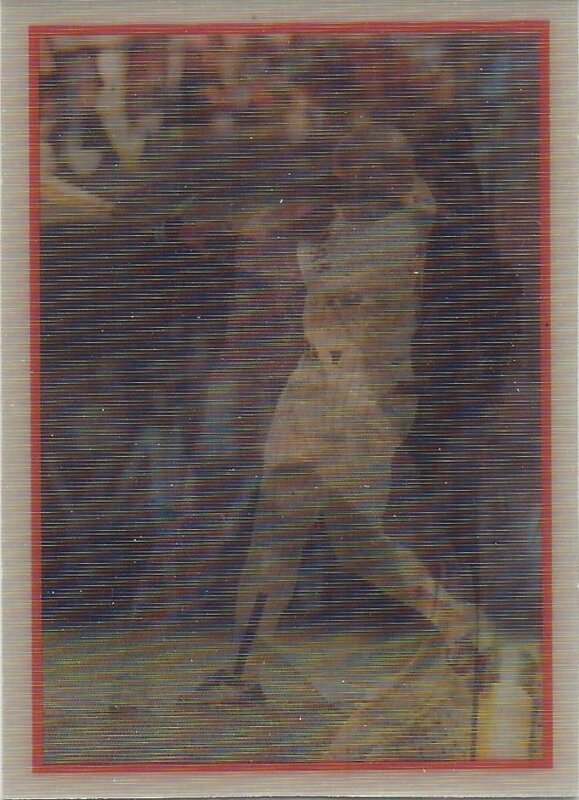 That got me wanting to look at a few of the lenticular cards I currently have, as this kind of thing doesn’t pop up much. In essence the new 3D set isn’t really much of a third dimension. It’s like these UC3 cards from a couple decades ago. It’s not incredibly exciting these days. I tiny wiggle isn’t enough to warrant a parallel set like this. Even when there are actual backgrounds instead of ’90s CG randomness, it’s not as fun as you would like. It’s fun, but not as fun as I want it to be. 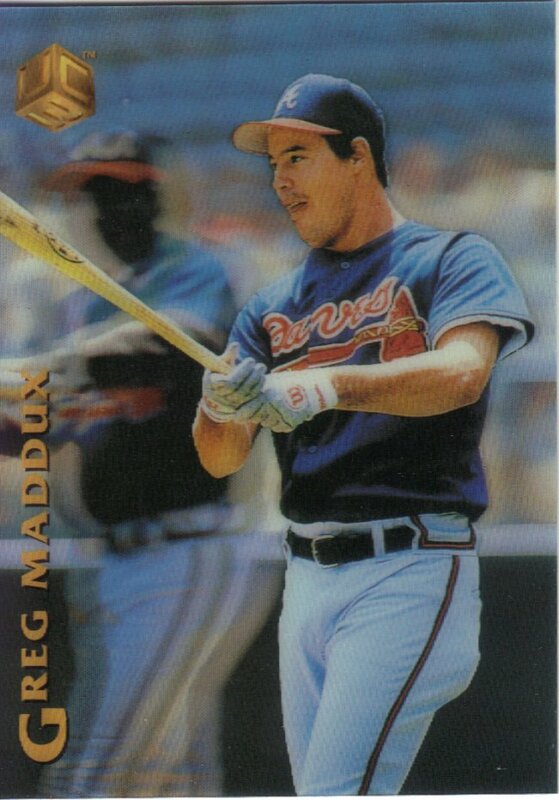 These new Topps cards are very likely the same way. I don’t think they are applying a range of motion to the players. So, we’ll see a little wiggle in the crowd. I don’t know how the inserts will look, maybe that will be better. Considering how they handle the Opening Day lenticulars, I would guess no. Speaking of inserts, here’s one from that same UC3 set. Again, the background moves, but not Tony. They also don’t scan very well, but at least you know immediately. I love the thicker card stock that has to be a part of the process, too. 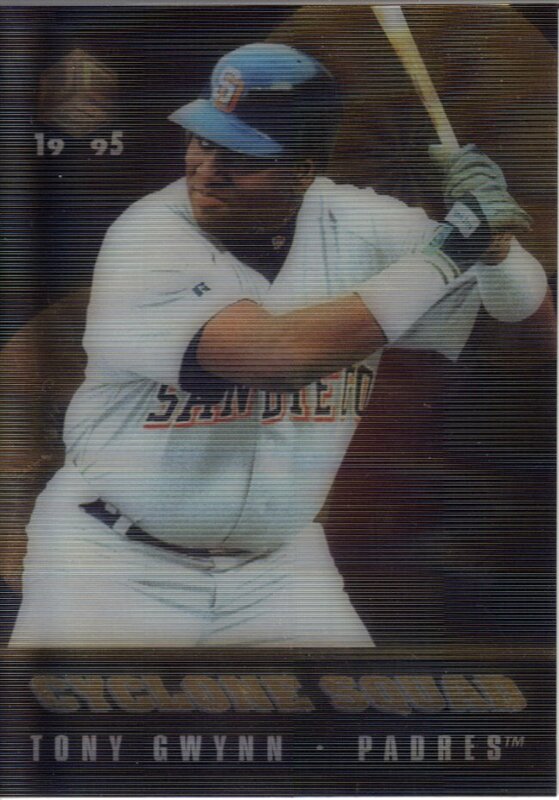 This one is closer to what I would look for from a lenticular card. This actually has some movement and motion to it. 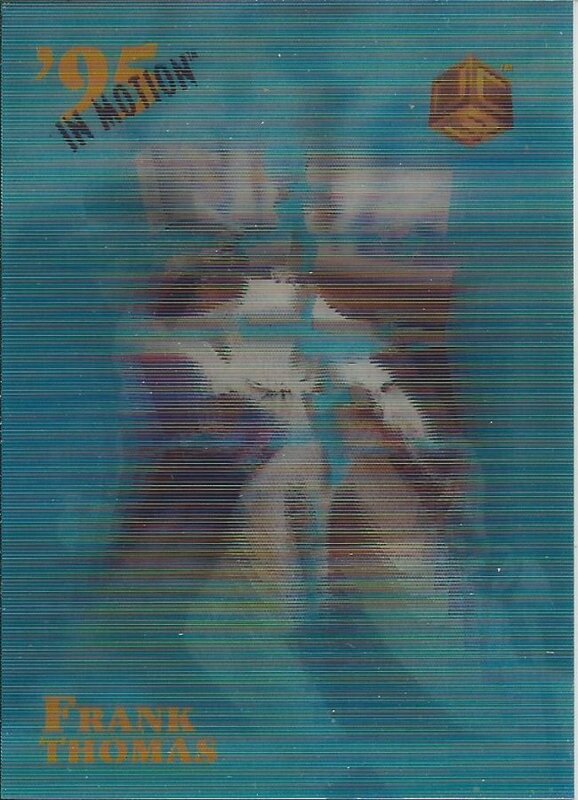 You can sort of see the layers through the blue. Now we’re talking. 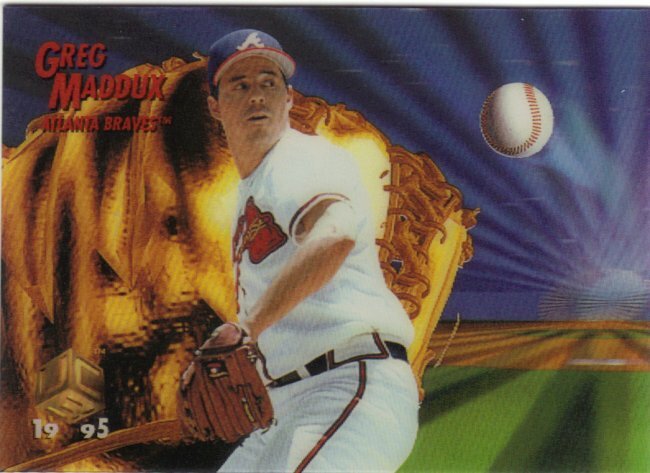 You can see Maddux is going to show off his pitching motion. Even the nameplate moves. 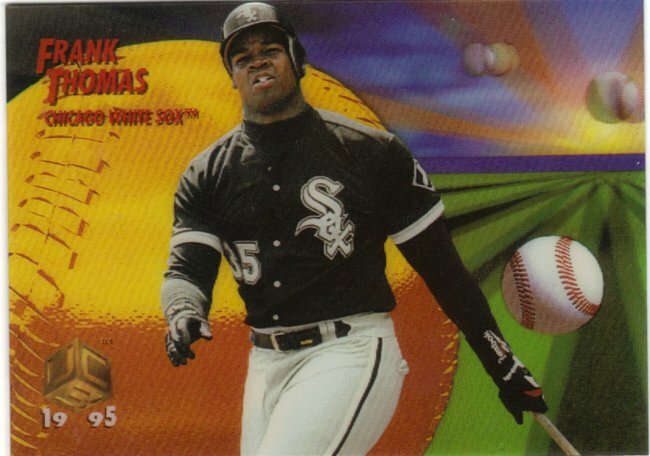 That’s the kind of 3D cards we need again. 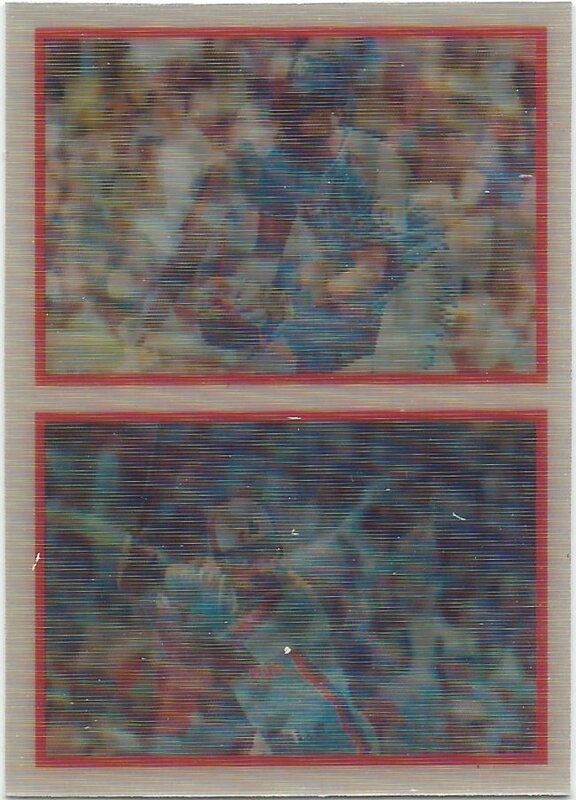 These last two are from a really old Cards on Cards trade. The original (as far as I’m aware) Sportflics brand. This is my idea of 3D. 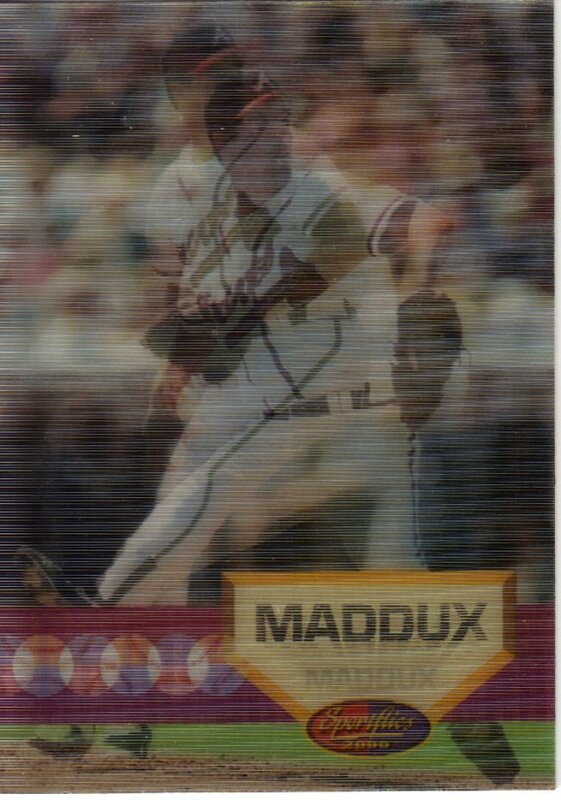 I don’t think you need profile pics and action shots on the same card, because that gets a bit busy, but still cool. 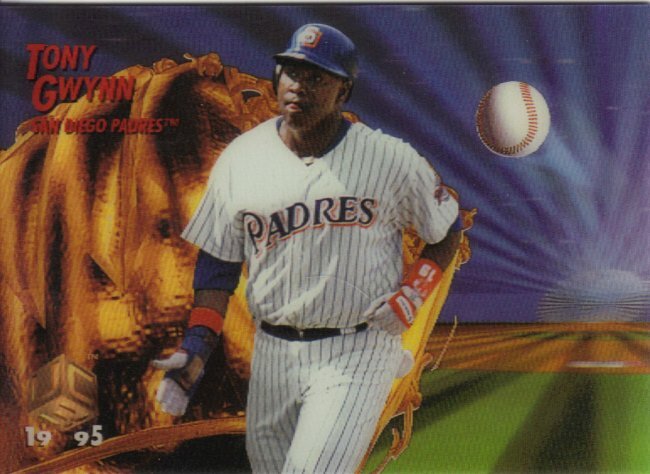 Tony Gwynn’s in there, I promise. 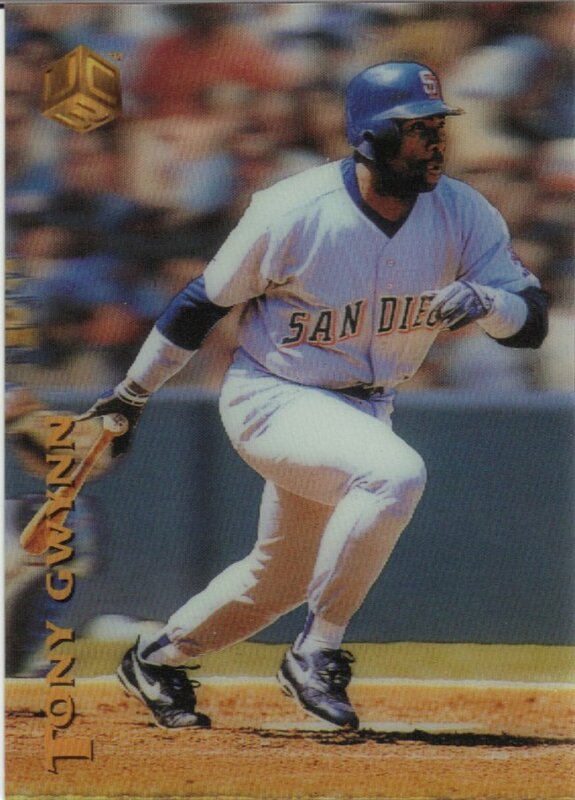 We’re also not going to get multi-player cards like this one either. Maybe if this set takes off, they can play around with it more, or create a nice insert in 2019 Big League or something. However, I will wait and pick this new iteration up in future dollar boxes, because it’s too rich for my blood.